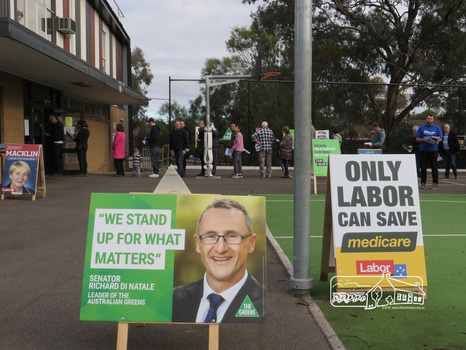 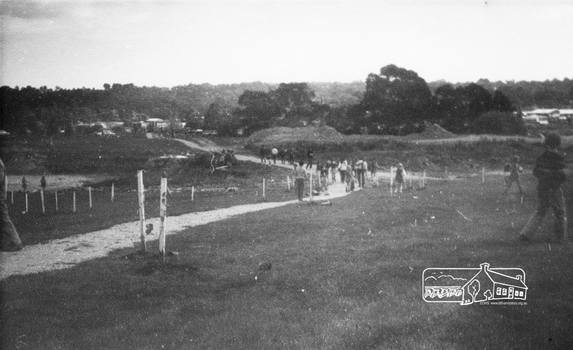 Visible are Trestle Bridge, Eltham Shire Offices with south wing extension, duplicated Main Road, Panther Place and the pathway through the park. 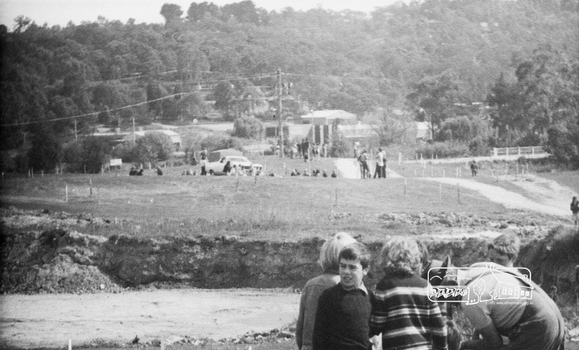 Shillinglaw Cottage in Eltham Common on the other side of Panther Place is hidden from view by the tree-capped grassy knoll. 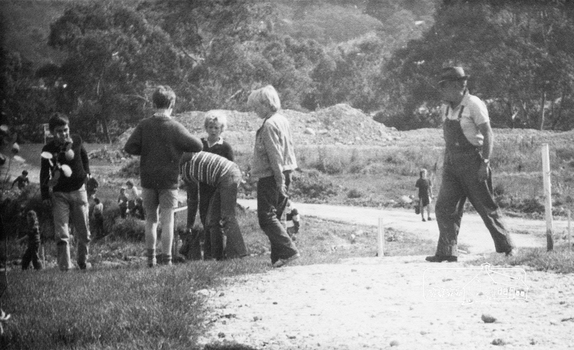 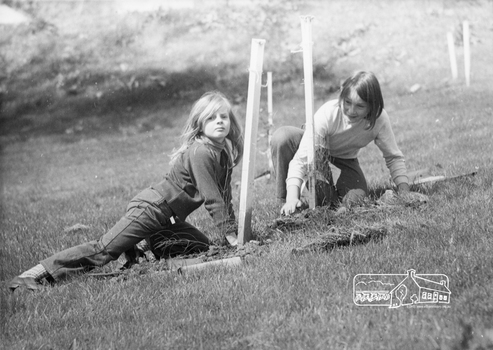 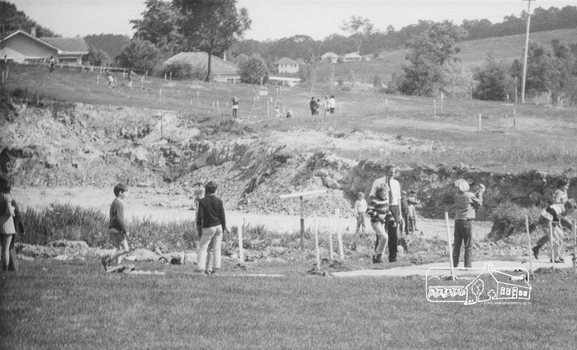 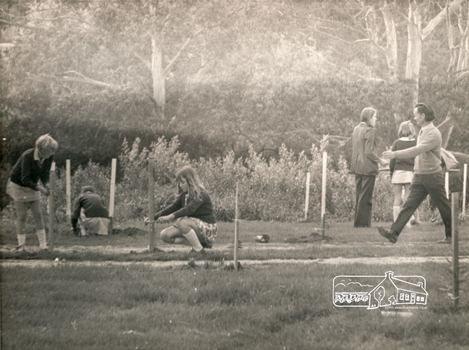 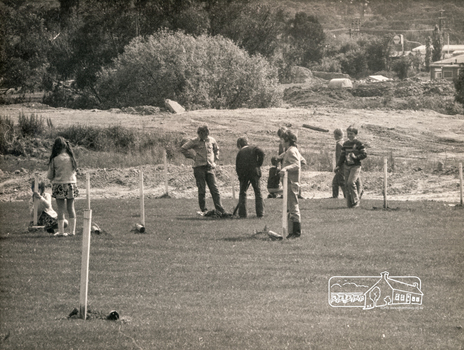 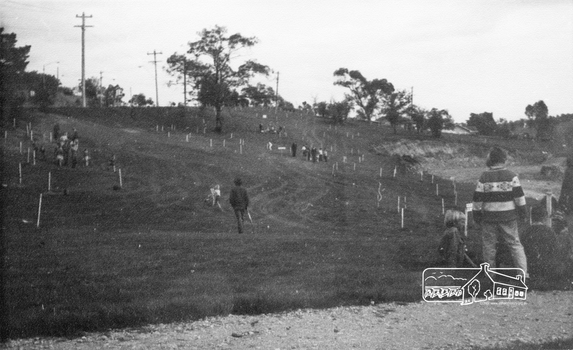 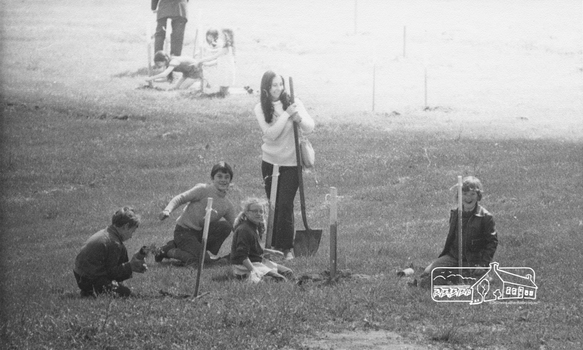 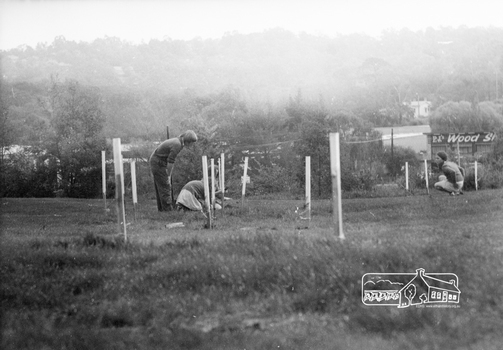 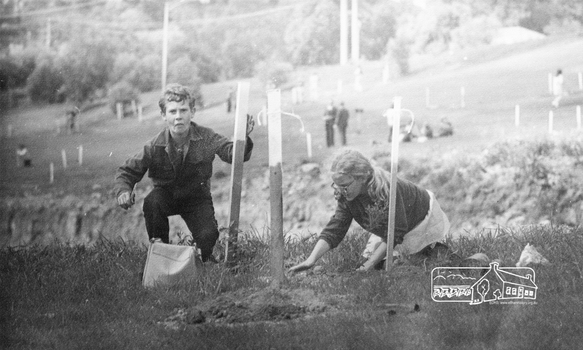 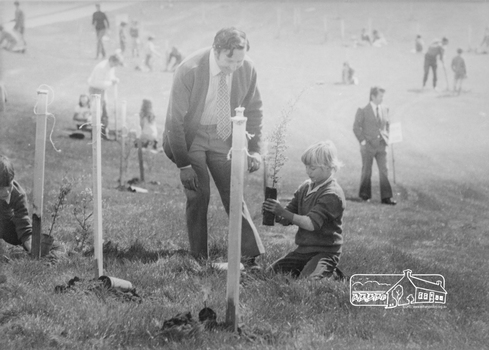 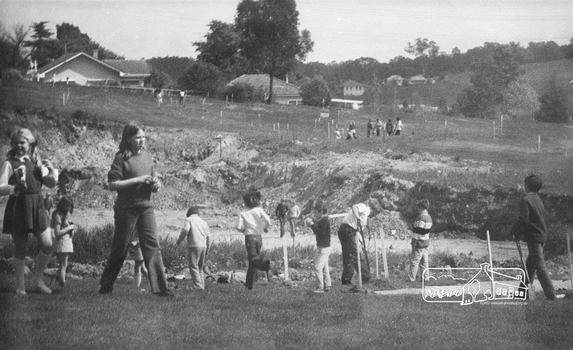 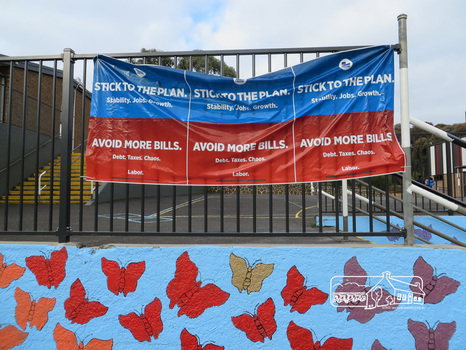 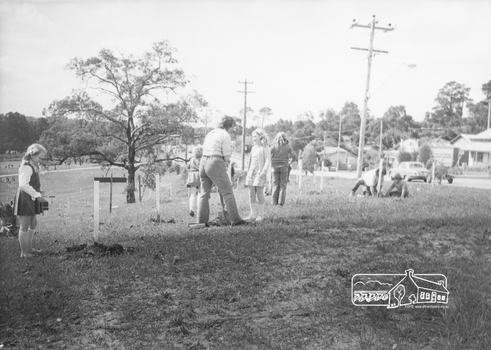 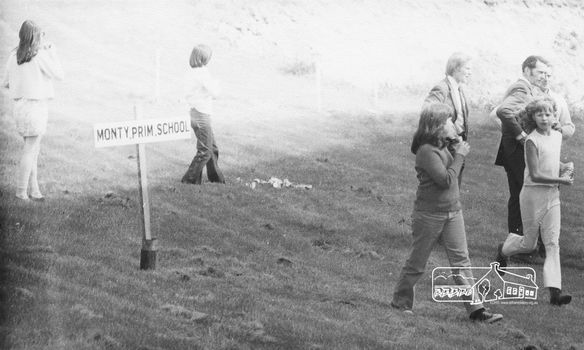 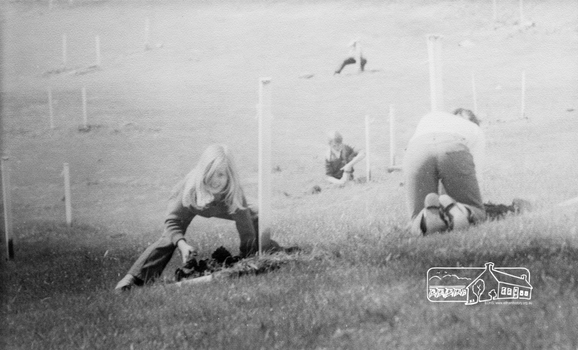 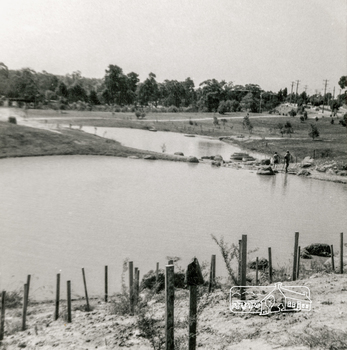 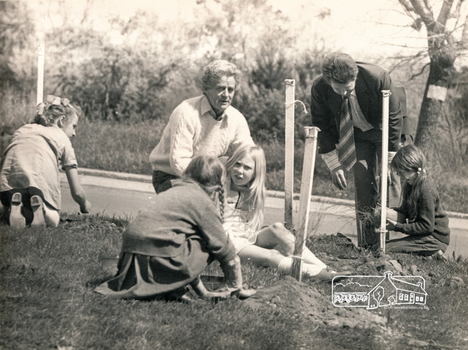 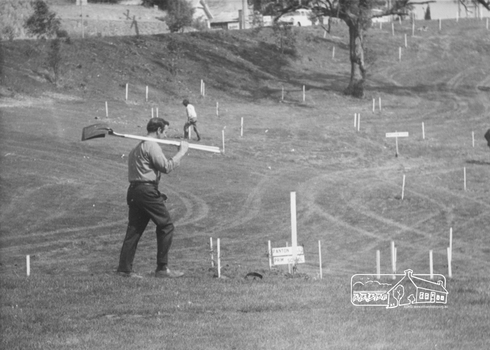 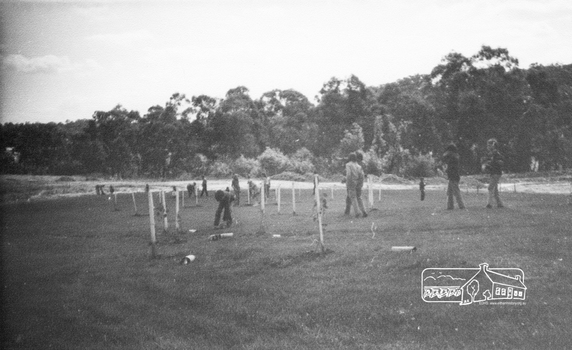 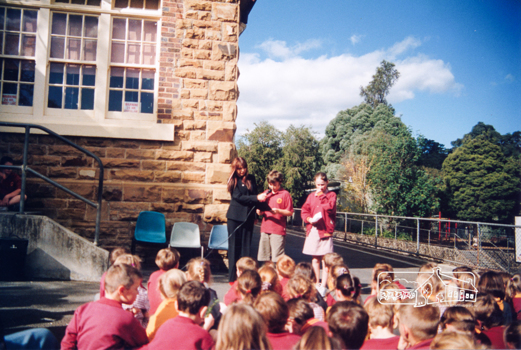 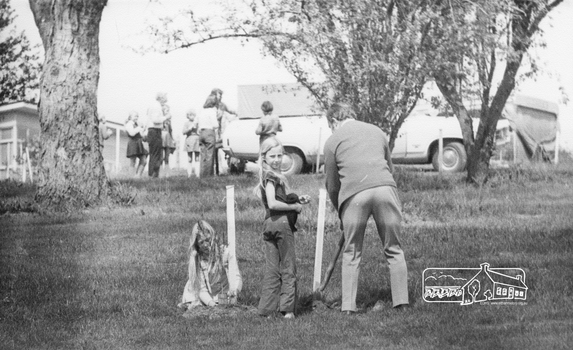 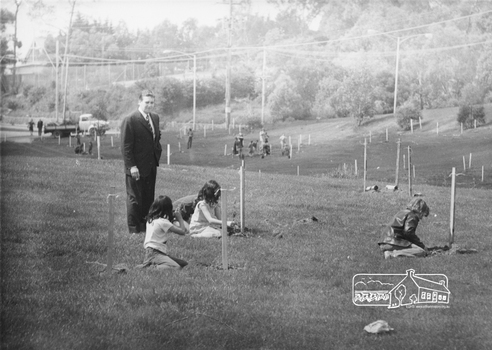 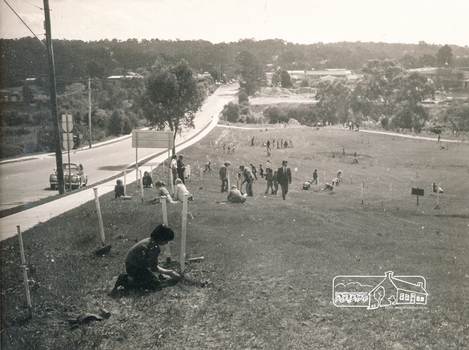 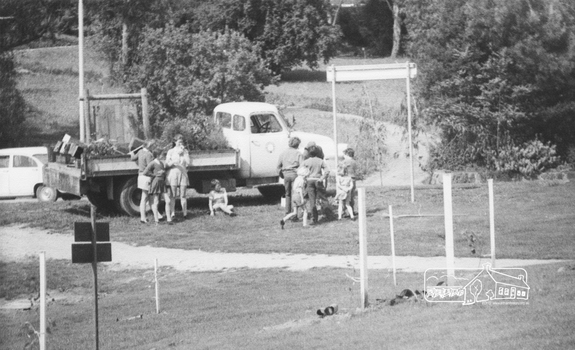 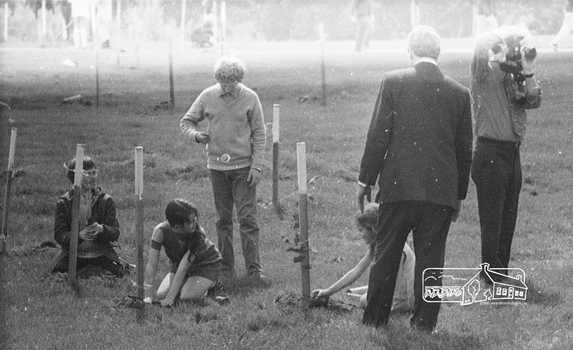 The two ponds were in construction during the Arbor Day native tree planting by local school children in October 1973.